Huntley Meadows morphed into a learning lab for the spring class of this term’s aspiring Master Naturalists. The beautiful wetland was brimming with life as the class traversed its woods and boardwalk, stalking insects, birds and herps. Lessons were learned, pictures were taken, and, more importantly, new horizons were revealed through the guidance of an outstanding lineup of dedicated instructors. 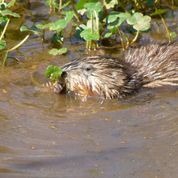 This muskrat provided lots of entertainment. The class divided up into two groups for the ornithology trek. The generous folks who came out to help with bird-spotting and ID included Phil George, Nick Nichols, Ginny McNair, Jim Hurley, Laura Plaze, and Rebecca Ayers. They shared not only their knowledge and skill, but also their binoculars and spotting scopes. A nice list of birds was created, and everyone had several chances to get really up-close looks at a variety of them. Thanks, and hats off to all of you enablers! There were no “beginners” left by the end of the morning! This barn swallow seemed to be collecting twigs. Great egret poised for action. Cliff demonstrated proper log rolling technique for us, as he checked for the denizens of the undersides. Always roll the log away from you so you see what’s under there before it sees you! Spotted turtle, rarely seen after spring, now uncommon. Beautiful orchard spider sparkles in the sun. The gall forms haven for grubs, which hatch out as harmless wasps. Alonso Abugattas was tireless and clever in detecting the presence of herps. Several varieties of snakes, turtles, skinks, lizards, frogs, and toads were found. Many, unable to escape Alonso’s quick arm, provided proximity for close scrutinizing. One very lucky find was a spotted turtle, now uncommon in our area. 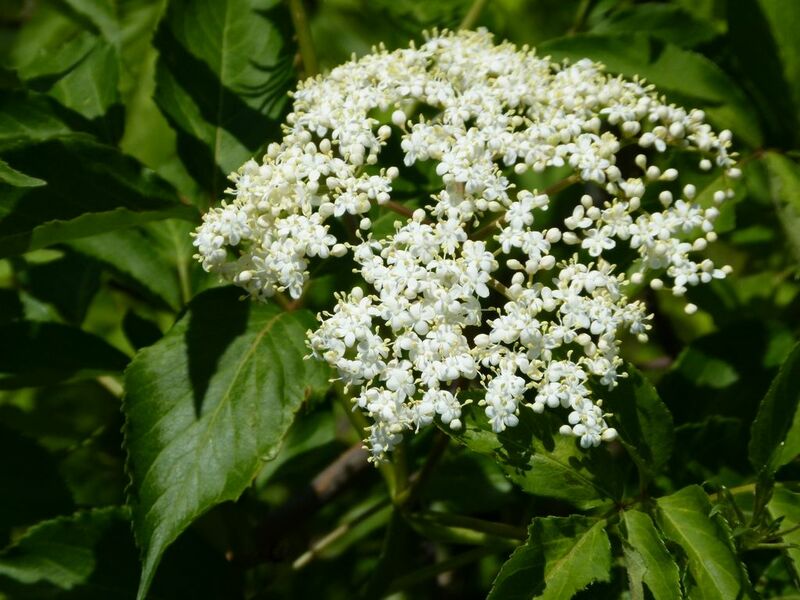 The elderberry was in rampant bloom. This entry was posted in News and tagged basic training course by armneditor. Bookmark the permalink. Great shots! Good to hear from you, Sue! When are you heading back up this way to N. Arlington?